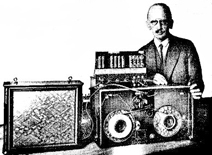 Fritz Pfleumer (20 March 1881 in Salzburg – 29 August 1945 in Radebeul) was a German-Austrian engineer who invented magnetic tape for recording sound. Fritz was born as the son of Robert and Minna, née Hünich. His father Robert (1848–1934) was born in Greiz, and his mother Minna (1846–1932) was born in Freiberg. 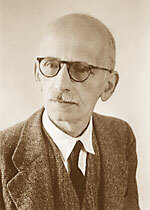 Fritz had five siblings – Mimi, Hans, Hermann, Otto, and Mizi, one of whom, Hans, emigrated to the USA. Pfleumer had developed a process for putting metal stripes on cigarette papers, and reasoned that he could similarly coat a magnetic stripe, to be used as an alternative to wire recording. In 1927, after experimenting with various materials, Pfleumer used very thin paper which he coated with iron oxide powder using lacquer as glue. He received a patent in 1928. On 1 December 1932 Pfleumer granted AEG the right to use his invention when building the world's first practical tape recorder, called Magnetophon K1. 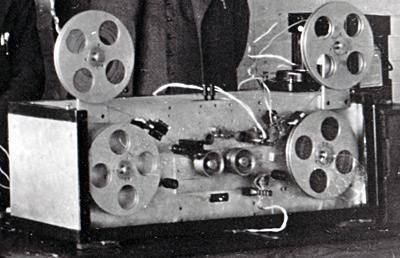 It was first demonstrated at the IFA in 1935. Foundational text courtesy of Wikipedia. I think it would be nice for the Ampex Corporation to give Fritz Pfleumer more credit and research in there language of History.